Omni-popular teen idol Justin Bieber finds that he’s on album number three with Believe, the latest collection of tracks released by the 18-year-old Canadian. Bieber’s new album exposes a more adult and seductive side to the young artist by marrying his famously smooth sound with an electronic, club vibe, reminiscent of successful pop idols like Justin Timberlake and even Bieber’s mentor, Usher. The standard release of Believe contains 13 songs, including the first single (Boyfriend), and the deluxe edition of the album has three more that feel slightly more experimental. While diehard fans will want to dive into the three bonus tracks, they’re pretty hit-or-miss for the average listener. Sketchy bonus tracks aside – Bieber’s latest album is unbelievably catchy, possibly creating some converts into the dreaded club of Beliebers with danceability, a smattering of upperclass lyrics, and some of Top 40’s favorite artists – like Nicki Minaj and Drake. The first track of Believe, entitled All Around the World, wisely reminds us that “All around the world/People want to be loved/All around the world/They’re no different than us.” However trivial the lyrics may be to this opening track, the tune is catchy and sets the tone for the rest of the album, where a maturing Justin Bieber crosses with an-early-2000’s Justin Timberlake and adapts his sound for effective club beats. Ludacris makes an appearance in All Around The World, questionably claiming that he and Bieber are the “dynamic duo,” thanks to Bieber’s 2010 smash hit, Baby. Ludacris and Bieber may not be the first duo that comes to mind, but his inclusion in the track does serve to show how much Bieber has grown since Baby. Boyfriend marks the second track-listing on the album, serving as the first official single from Believe. 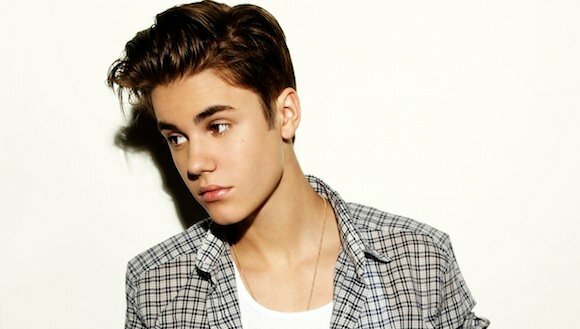 Bieber released the single on March 26 to mixed reviews but undeniable commercial success. The single debuted at number two on the Billboard Hot 100 and has been dominating hit radio ever since. Like in All Around the World, Bieber’s newer sound seeps through the track, drawing strong comparisons to Pharrell Williams and contemporary *NSYNC with smooth, whispery vocals and an electronic vibe. As Long As You Love sounds similar to the other songs, kind of reminding me of the newer Britney Spears and Rihanna albums. Each of the artists’ recent albums have featured pop tracks that are clearly meant for dancing and the inevitable dubstep remix. As Long As You Love has a simple chorus, with drawn out words that stay in the background, leaving the spotlight on the dance music, and the lyrics rank similarly to the cutesy words in some of his older songs, like One Less Lonely Girl. The real prize for this song goes to Big Sean, who completely trumps all of the featuring artists on Believe with his clear and memorable verse. The fourth song on the album, Take You, is one of the weaker tracks on the album. Bieber’s lyrics are virtually empty, because honestly, they’re not important. This song is about escalating sounds and bass beats, and the obvious goal of this song is neither met nor really worth it. Take You is kind of a perfect example of the flaw in this album, which is that the collection’s ambitious plan to mature Justin Bieber gets repetitive without any variety. Right Here picks up the pace a bit, with a better sound and a solid contribution from Drake. The lyrics aren’t the best on the album, but the sound in the background (which mildly reminds me of a video game) makes the track. A few verses from Drake amidst the sea of Bieber is welcomed as well, though his part isn’t one of the better contributions to the album. Those titles belong to Big Sean and Nicki Minaj. Finally, after Right Here, the next track, Catching Feelings, brings us back to the Justin Bieber with which we’ve been comfortably familiar. Bieber focuses more on the lyrics in Catching Feelings and less on his ability to make people dance. I feel the need to again draw the striking similarity between Bieber’s new sound and *NSYNC, because this song is remarkably similar to some of their softer, popular songs, like This I Promise You. Sitting at spot number six on the album, Catching Feelings isn’t my favorite song, but it’s well placed after five heavily comparable songs.